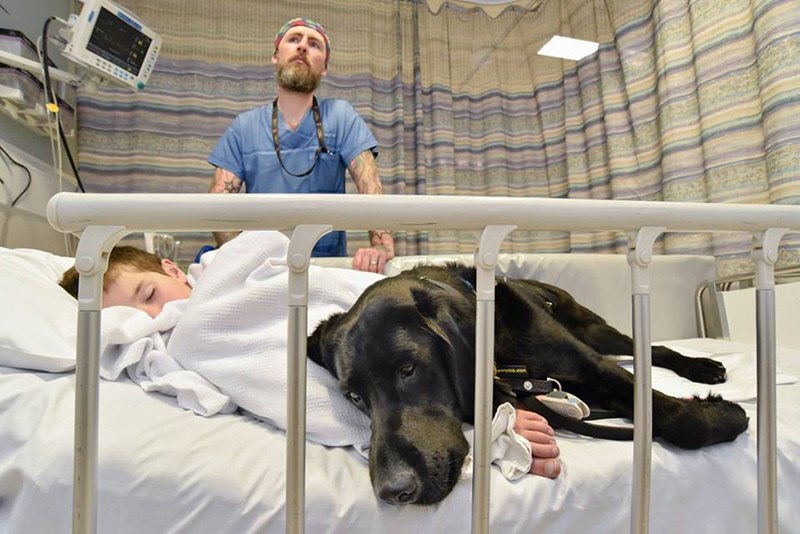 Wherever James Isaac goes, Mahe follows – even into the boy’s hospital bed. 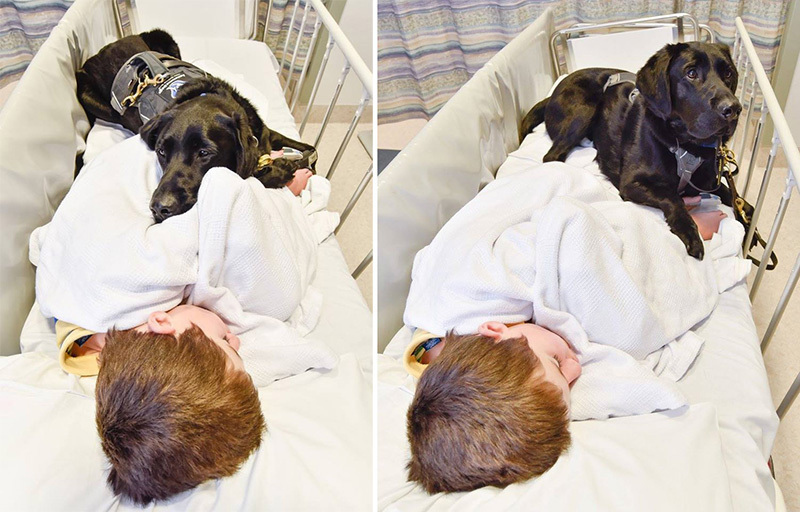 The 9-year-old is autistic and relies on the black labrador to keep him safe and calm. James does not speak and flinches from human touch and eye contact, but with Mahe things are different. He will curl up happily with Mahe. 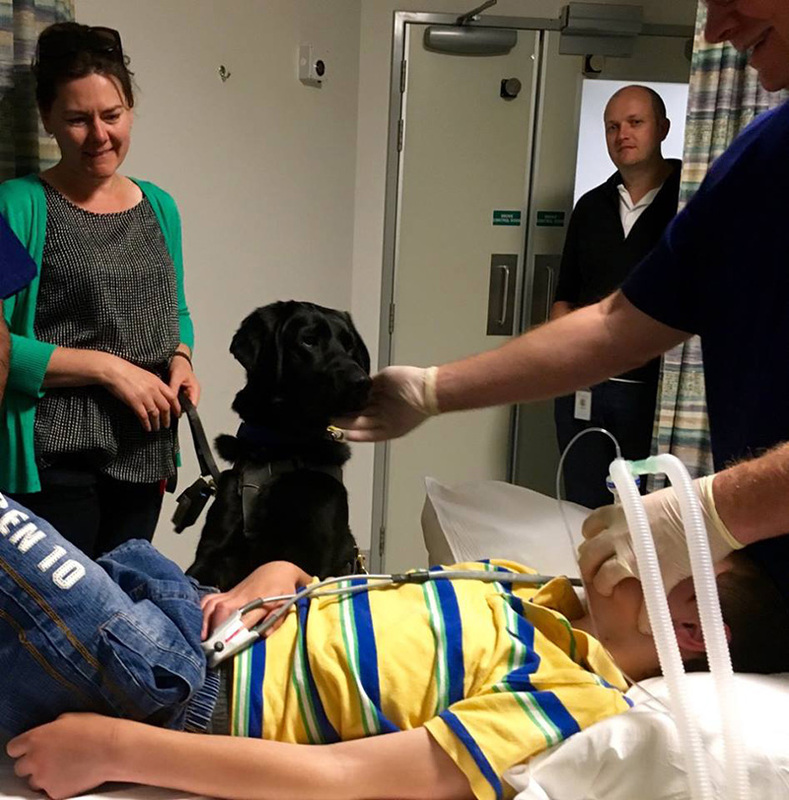 When James had to go to the hospital for an MRI to help diagnose his seizures, his mother was worried how the experience would go, but was relieved that Mahe was allowed to accompany James on the visit. 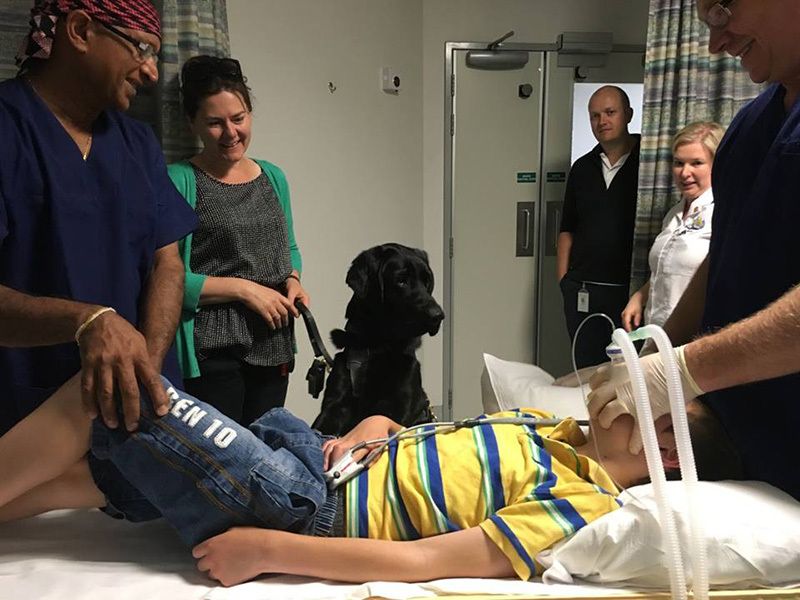 As James went under general anaesthetic, Mahe watched with concern. 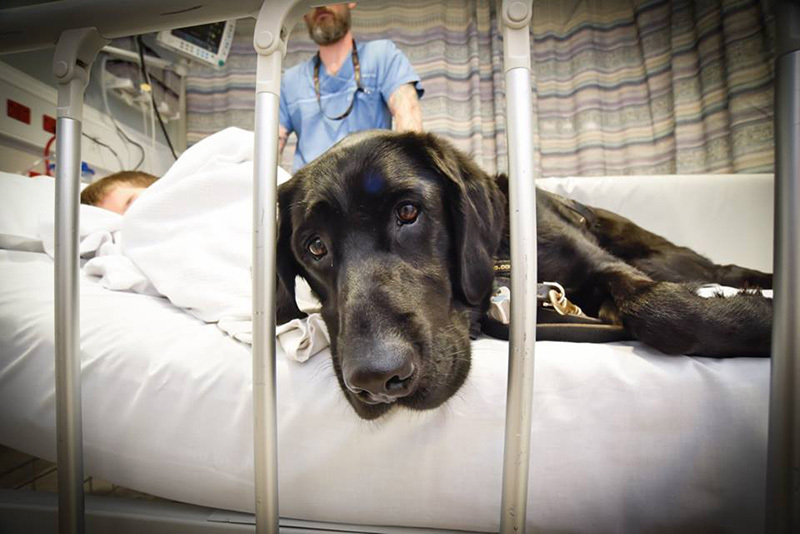 Mahe never left his side. Life for the Isaac family has improve immensely since Mahe came into their lives, two years ago. Mahe’s presence not only calms James, but keeps him safe. Out and about, he is attached to Mahe on a tether. If he strays too far, or starts running towards a busy road, Mahe sits down and won’t budge. 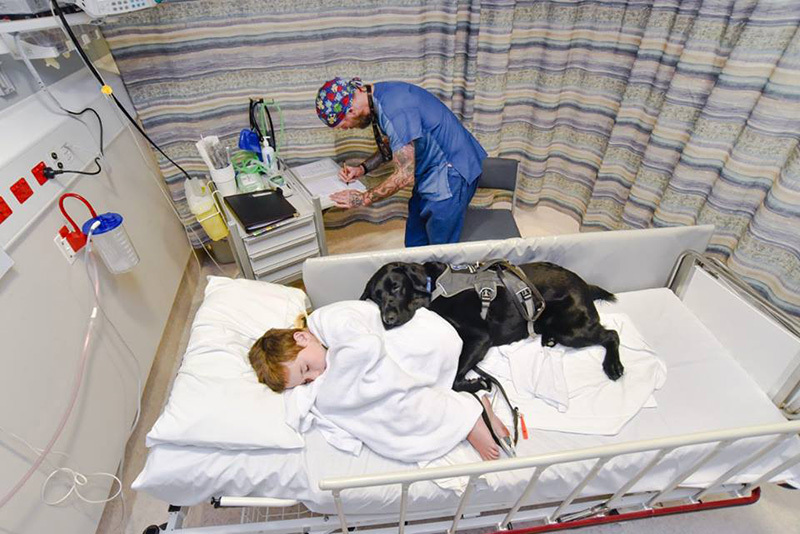 She added that if James’ seizures persisted, Mahe will be trained to pick up on early warning signs and whine or bark to alert his parents. 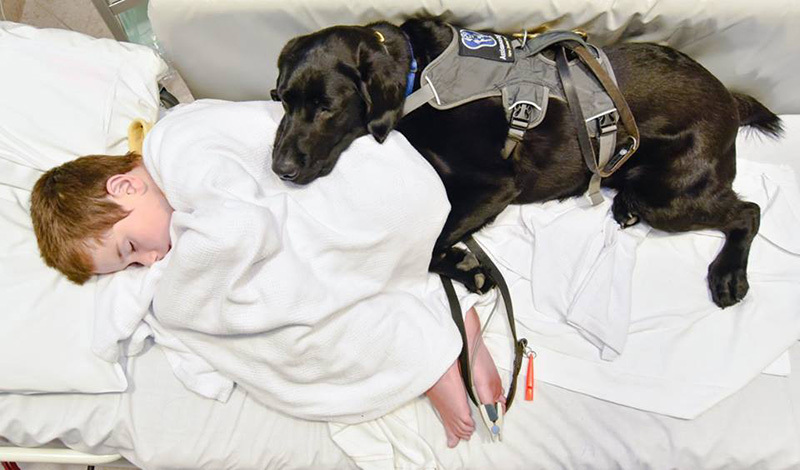 Share this story if you think dogs are amazing. 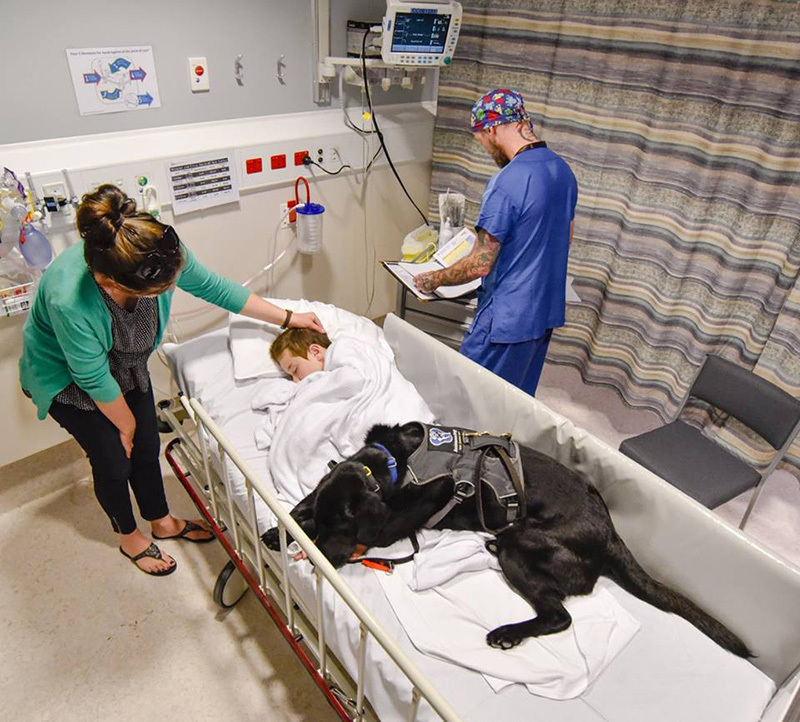 Photo credits: Louise Goossens, The Wellington Children’s Hospital Photographer.